In the course of a week I saw various versions of the ever-popular Philly steak and cheese sandwich. Finally, I broke down and decided to make a version of this popular meal...partially because the roast beef was on sale at the grocery store. 1) Heat the butter and olive oil in a large skillet and add the garlic, sliced mushrooms, and sliced onion. Saute until the onions and mushrooms are carmelized, or about 20 to 30 minutes. 2) Preheat the oven to 400F. 3) Slice roast beef into thin strips and add to the mushroom/onion mixture. Cook for 5 to 10 minutes or until roast beef is cooked. 4) Meanwhile, slice the green peppers in half lengthwise and remove the seeds and ribs. Place the peppers open side up into a 9x9 inch baking dish. 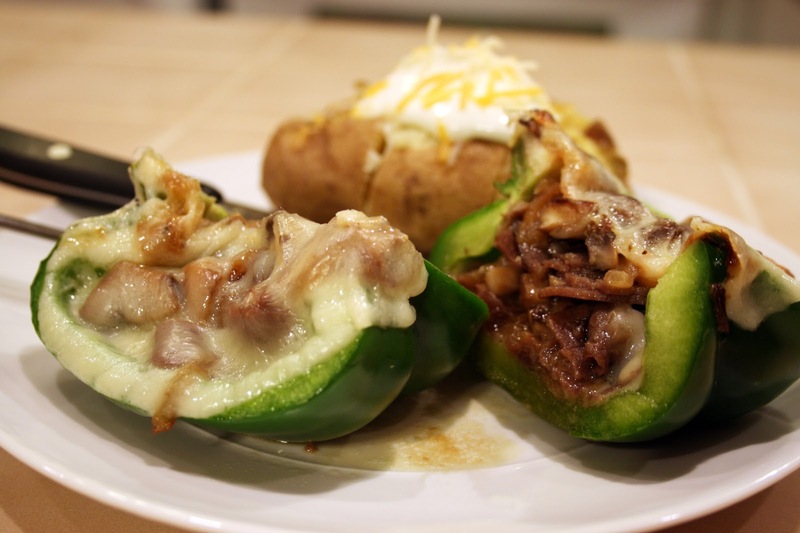 Line the inside of each pepper with a slice of Provolone cheese. 5) Fill each pepper with the roast beef mixture, distributing evenly. Overflowing the peppers is fine. 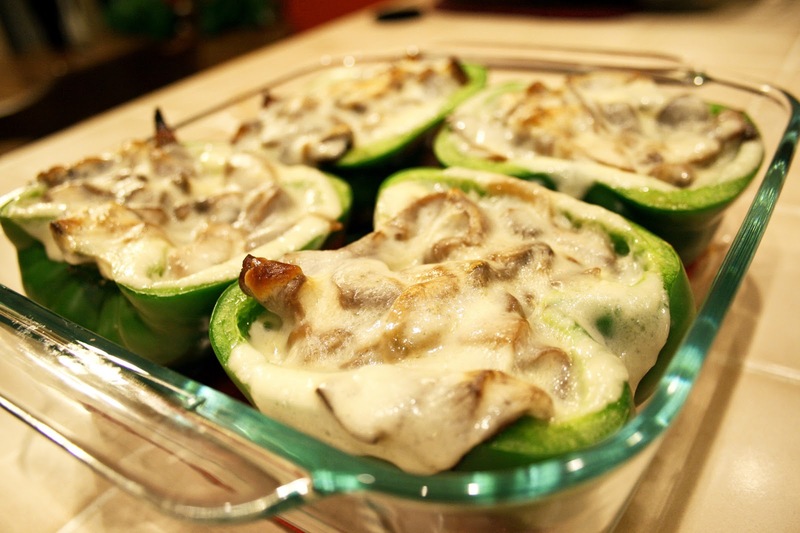 Top each filled pepper with an additional slice of Provolone cheese. 6) Bake peppers for about 15 to 20 minutes, or until the cheese is melty and begins to brown.